FEEDING YOUR NEW PUPPY ! 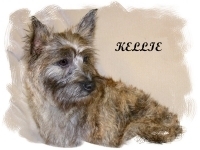 The home to many beautiful Cairn Terriers........since 1983 !! Puppies ........and Puppies........and Puppies..........OH MY !